The North East’s leading law firm for businesses, Muckle LLP, has retained all three of its qualifying solicitors this September. The three trainees, who have been with Newcastle based Muckle for the last two years, have taken up roles in different teams across the firm from September 1st. Henry Mullen, Beth Thompson and Tom Justice have gained a wide range of experience in a variety of legal practice areas since starting their training contracts in 2014. Their hard work and dedication has now been recognised and Muckle is now able to offer permanent positions to all three. Beth will join Muckle’s Real Estate team, Henry will work in Dispute Resolution and Tom will start his career in a new role across the Commercial and Employment teams with a specific focus on the education sector. Henry, from Kent, studied History at Newcastle University before completing a law conversion at Northumbria University. He said: “I’ve really enjoyed working here, the people are fantastic and it’s such a great place to work. The range of work I’ve been involved with has been really good and I’ve learnt so much already. Beth, from Newcastle, graduated from University College London with an Anthropology degree. After travelling for a year, she returned to her home region to do the Graduate Diploma in Law at Northumbria University. She worked as a paralegal at another firm before starting her training contract at Muckle. 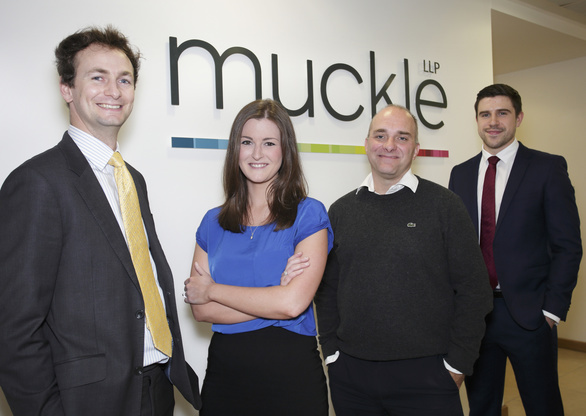 She said: “I’m really pleased to be joining Muckle’s Real Estate team. This was my first placement during my training and I found I was given responsibility from the start. I was able to take on my own files under supervision which was challenging but also really rewarding. Jason Wainwright, Managing Partner at Muckle, said: “We’re thrilled to retain all three of our trainee solicitors this year. We have been very impressed with their positive attitudes during their time with us so far. They all work hard and fit within the culture we are striving to achieve as a business so we’re pleased to be able to welcome them to the team permanently. For more information on how we can help your business, or if you are interested in a training contract, contact us on 0191 211 7777 or send us an email.